I've recently moved out of my Patent Lavender Filofax Pocket and into my brand new Small Lilac and Gold Kikki K! All Etsy shops will be listed at the bottom of the post. Here's what I see when I open her up! I made all the paperclips myself using ribbon and hair accessories which I cut up from H&M. I got the ribbon from The Works. I made the Daily Tasks card myself too! I just find it useful to see as soon as I open my planner as it reminds me of things that I must do every single day. The washi that I used is from a couple of different Etsy Shops as are the stickers. 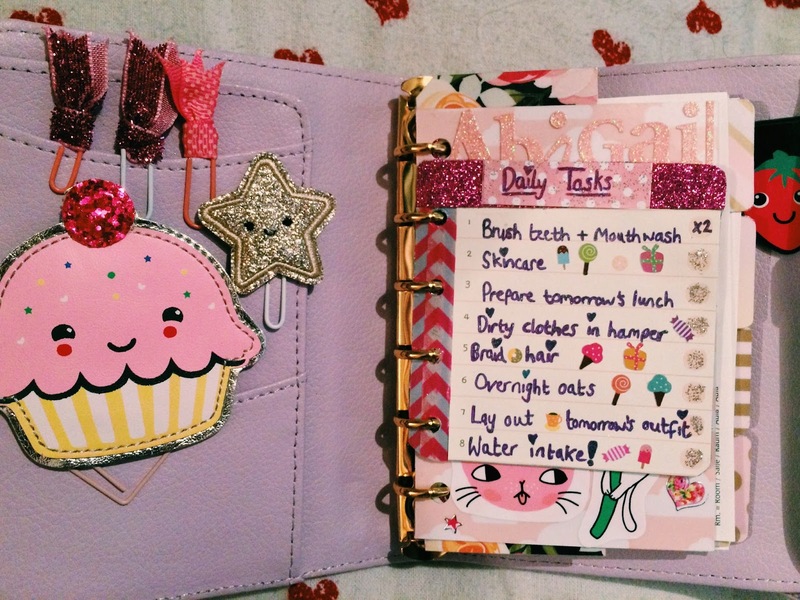 The strawberry magnetic page marker is from Paperchase. So, I guess you could call the top left view my dashboard. I don't really use it for anything other than to look cute. The actual dashboard is from an Etsy Shop as are the kitty stickers and the glitter letters are from The Range. On the bottom left (i.e the back of my dashboard) the castle sticker is from the 99p store and the page marker is from an Etsy Shop. On to the top right photo, the divider is from an Etsy Shop, the Rapunzel stickers are from the Disney Store. On to the bottom right, the card is a Project Life card. 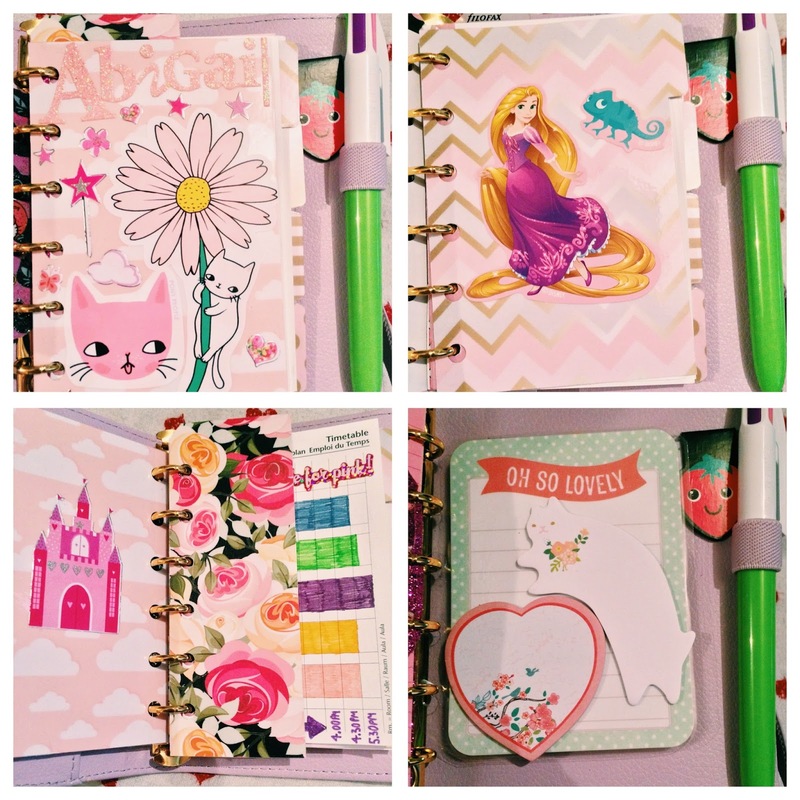 The heart sticky notes are from The Range and the kitty ones are from an Etsy Shop. I love how my planner looks at the moment, it really cheers me up to look at it on a busy day! I have lots of supplies on the way though so it may well change!